A non-profit society for LGBTQ South Asians and their friends, families and allies. 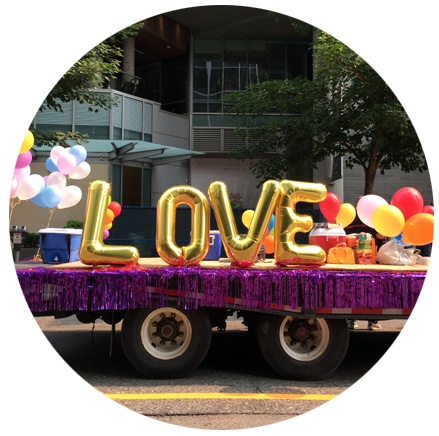 .Sher Vancouver hopes to reduce the alienation, depression and suicidal ideation of people dealing with sexuality, gender and coming-out issues. Everyone is welcome to join regardless of ethnicity, religous belief or sexuality. Three peer-led support groups provide safe spaces for LGBTQ+ youth and adults. Confidential counselling provided on a sliding-scale fee basis by a Registered Clinical Social Worker. Marching Forward With Pride Since 2008. Sher Vancouver recently celebrated its 10 Year Anniversary! See the highlights video of how we've been making a difference in the South Asian and LGBTQ+ communities. ​January Marie Lapuz was a transgender woman of colour who died tragically in September 2012 in New Westminster, BC. Sher Vancouver produced a documentary feature film that addresses the issues that surrounded January's life and gives a platform for trans women of colour to share their experiences. Our one-year sponsorship terms allow us to complete our goal of making members of the LGBTQ community feel less isolated by providing integrated and responsive programs and services. Contact Sher Vancouver Founder Alex Sangha at info@shervancouver.com or 604-842-7340 to discuss how we can work together to meet your marketing and sponsorship goals. Thanks to our official sponsors for their generous financial support. Sher Vancouver is accepting donations for its annual fund to support core and critical programs and services. Email us at info@shervancouver.com to get in touch!